Sygurd Wiśniowski (1841–1892), Galician globetrotter, writer and literary reporter, piercingly fathomed the world mysteries of the second half of the 19th century. His interests included the reasons and effects of the growing emigration tendencies from Europe to Australia, the USA and Cuba, emigrant assimilation, and their competition on the labour markets. In his literary reports published in Lviv and Warsaw press Wiśniowski often wrote about the waves of emigrants from Poland, and was especially absorbed by Hebrew emigrants. Among the Polish Jews he kept contact with were wealthy merchants, street vendours, but also beggars; people of different age. Wiśniowski took note of their Polish sensitivity, melancholy, yearning for the country on the Vistula, fear of loss of identity. His accounts break with the stereotype of a Jew – a cunning fox, a heartless rich man, a Christian foe, and also emphasise the intensified anti-Semitism in the USA. In his assessment, the Germans demonstrated special bellicosity towards the Polish Jews. Wiśniowski’s political, anthropological, and sociological competencies hold respect of the reports’ readers. Maria Dąbrowska’s attitude towards the Jews was quite ambiguous. On the one hand, throughout her whole life she declared her enmity to anti-Semitism, and before the war she publicly condemned anti-Jewish aggression. On the other hand, her diary and letters makes their reader realise how alien the Jews seemed to her. Orthodox, poor Jews filled her with disgust and only rarely did the aversion retreat and its place was taken by interest in the exoticism of everyday shtetl life. Dąbrowska, however, did not distance only from small-town religious Jews. She expressed marked reservation also to deeply assimilated Polish cultural life members of Jewish origin. In her diary she meticulously and with great suspiciousness noted Jewish origin of people she met a given day. They were also to some extend alien to her. Solving “the Jewish case” was important, though by no means leading element of Dąbrowska’s social publicist writing. She saw the source of tensions between Jewish minority and Polish majority rather in social historical circumstances than in deliberate activities of any party. Being against settlement by force, she also rejected a simple contradiction: either assimilation or emigration. As if against her prejudice, or above it, she inclined towards Poland of multinational citizens. The sketch is an attempt at analysing the different meanings in which the economical concept of exchange is revealed in Aleksander Wat’s creativity. 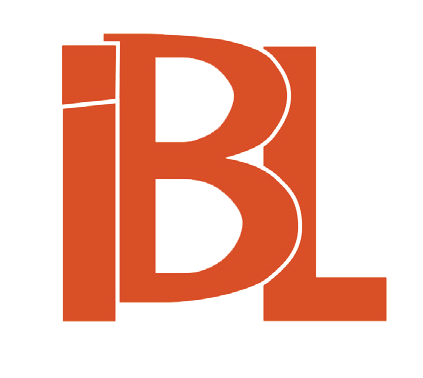 The author of Buchalteria (Bookkeeping) not only enters into the antique tradition of conceiving of thinking, language, and literature in the categories of exchange, but also many times at various stages of his creativity builds theoretical models of literature and literary language based on the category of exchange. 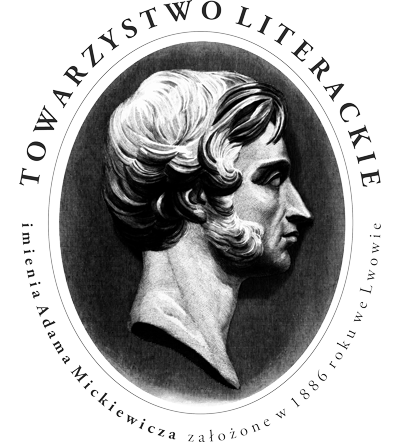 The sketch’s starting point is the definition of “economy of literature” proposed by Michał Paweł Markowski and its close connection with the concept of realism as well as Markowski’s pointing at one of the most fundamental feature of “critical modernity literature” in which literary language is seen as “inexchangeable speech.” Yet, interpretation of Aleksander Wat’s texts shows a slightly different mode of describing modern literature in the categories of exchange in which language idiomaticity lies precisely in infinite possibility of substitution. Calel Perechodnik’s Spowiedź (Confession) should be placed among the most important evidence of the Holocaust. It is a unique work as it was produced by a man who collaborated with the Nazi oppressor. Jewish police uniform did not save the author of the memoirs from a personal tragedy. Finally, he himself had to lead his wife and daughter to the train of death heading for Treblinka, which greatly influenced on the subject and form of his account. Perechodnik describes the reality of occupation from three different points of view: an executioner, a judge, and a victim. The first two may arise controversies among wider public as Confession is not only a literary examination of conscience, but also a penetrating act of indictment in which the author does not spare his native society. For that reason it is easy to lose the figure of Perechodnik as a victim of Shoah. A careful reading of Confession offers one more perspective of understanding the literary evidence of the Holocaust since it sheds a new light on the activities of Jews-collaborators. Some of them till the end of their lives regretted that they joined the army of oppressors. Perechodnik’s Confession is a certain balance between moral duty towards family and nation dying in concentration camps. It is a moral dilemma running through the entire creativity about the Shoah. Much attention has been paid to Fink’s stories. The numerous reviews are, however, devoid of the social context into which the stories’ protagonists were immersed from the outbreak of the war. They also lack of reflection about the majority–minority relation determining the situation of the Jews hiding in the Central and Eastern Europe. In defiance of the Polish critical assumptions which exploit silence as the only sphere of testimony or ask why it was that ‘people dealt this fate to people,’ the expressions formulated from the victims’ perspective a new description of the events can be found. To add, they also reveal the strategies of omitting the violence of the majority of the society in the dominating narration. It is only exclusion preserved in culture from which the experience of total loneliness and existential despair of the exterminated that starts to grow, and that escapes expression. Recognition of their status as non-humans in the Nazi practices and the majority of local people allows to discern and term the mechanisms of Shoah. The article touches Maxim Biller’s novel published in 2013 Im Kopf von Bruno Schulz which was translated into Polish by Małgorzata Mirońska (Warsaw 2014) under the title W głowie Brunona Schulza (In Bruno Schulz’s Head). The text is composed of four parts. In the first one Hudzik briefly presents the author whose creativity has not to date been translated into Polish. She also focuses on the book’s content and tries to set it in the context of other literary fictions the protagonist of which is Schulz and/or his manuscripts. Starting point of the novel is a legendary letter that Schulz was supposed to send before the World War II to Thomas Mann with his only short story written in German. Hudzik asks for reasonableness and aptness of confabulation of historical material in the literary work which is not biographical in its nature. In the second part Hudzik analyses the content of the novel: allusions and intertextual references to Schulz’s works, especially the motifs of a double and unmasking. The third part is to give answer to the question what new matters Biller’s novel offers – the new in the literary, artistic and/or fact-collecting sphere, apart from an intertextual play with Schulz’s work. The last part of the article is devoted to the problem of memory. To understand the work of memory described in the book, Hudzik refers, inter alia, to Walter Benjamin’s concept of “kleine Verrückung [slight twisting/shifting]” and “Eingedenken [Remembrance]”. 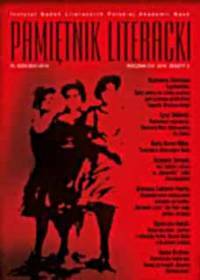 The article is a polemics by an outstanding expert in Nałkowska’s work and editor of her Dzienniki (Diaries) with a collective volume devoted to the writer which aspires to feminist criticism. Majority of the volume’s contributors trace the ideological “limitations” of the great writer, an icon of Polish feminism, unfortunately reaching for disgraced rules of socialist realism and pop-cultural patterns, especially the Internet hate speech, thus resorting to manipulation and libel at variance with Nałkowska’s work. Extreme examples of it are two sketches falsely imputing Nałkowska’s anti-Semitism. The volume, devoid of editorial proofreading, contains numerous mistakes and errors, including content matter ones. The article focuses on stillness and silence as on the basic determinants of avant-garde negative aesthetics (defined in Theodor W. Adorno’s view) and is limited to the analysis of the problem to the example of Paul Celan’s Keine Sandkunst mehr… (No more sand art… ) and Anton Webern’s Drei Lieder (Three Songs) Op. 25. The starting point is a reflection over the structural presence of silence in a literary and musical work. Referring to researchers’ assumptions (mainly to Piotr Śniedziewski’s analyses) about the role and methods of introducing silence to a work of art, manifestations of “silent diction” are indicated: breaking and disappearing of words, resignation from expressive musical narration, concentration on a single autonomised letter or sound, demise of syntax, and neutralising of meanings. Accumulation of silencing strategies proves to be one of the most vital features of Celan’s and Webern’s poetics and leads to composing a work of art in the likeness of an insoluble riddle. The article contains letters, commentaries, and an introduction. In the first part the reader is given three Jakub Goldszmit’s letters dated 1881, while the author’s remaining correspondence (11 pieces produced between 1881–1909) is expected to be published in one of the forthcoming issues of “Pamiętnik Literacki” (“Literary Memoir”). The introduction focuses on Orzeszkowa’s attitude to the Jewish cases, namely equality of Jews, and mutual relationship of Poles and Jews. Orzeszkowa’s important statement about the matters in question is her own text Wstępne słowo [Introduction] contained in Goldszmit’s publication “Kalendarz dla Izraelitów” (“Calendar for the Israelites”) (1881). Jakub Goldszmit’s and Józef’s – his brother (Janusz Korczak’s father) – activities on the one hand allow for sketching here a picture of acculturation process in the Goldszmit family. On the other hand, they give an example for building a parallel between the advocates of integrationalism and Orzeszkowa’s attitude to the Polish (and also Jewish) case. As long as in political commentary papers she at times approached (though multidirectionally) the positivist stance which considered the Jewish situation instrumentally through the prism of Polish interests, in her literary pieces she succeeded in going beyond the limits which the then polonocentrism imposed on its contemporaries. Being in his literary pieces far from subjecting the aims of Jewish regeneration to the needs of Polish modernisation, Orzeszkowa managed to consider the unassisted role of integrative movement and appreciated the internal values of Jewish life. She also discerned the analogy between Polish historical fortune and the historical position of people which brought the idea of monotheism and its moral implications to culture. The review discusses Tomasz Żukowski’s book Obrazy Chrystusa w twórczości Aleksandra Wata i Tadeusza Różewicza (Images of Christ in Aleksander Wat’s and Tadeusz Różewicz’s Writings) and points, on the one hand, at the correctness of choosing an interpretive key to Wat’s and Różewicz’s poetry and accuracy of confronting the two poets and, on the other hand, at a series of methodological inconsistencies in the book’s line of reasoning. In consequence, high evaluation of the study’s numerous interpretive fragments is accompanied by a criticism of the author’s methodological technique who declares his adherence to post-structural thinking but is deeply rooted in hermeneutical tradition. The review discusses Ireneusz Piekarski’s book about Julian Stryjkowski’s literary creativity and its biographical circumstances. Advantages of the publication are a thorough and insightful analysis of Stryjkowski’s output taken up in the context of broadly understood Jewish culture and philosophy, and establishment of unknown facts from the author’s life (e.g. debut date) which shed a new light on his creativity. The review discusses Sławomir Buryła’s monograph (Un)described Subjects on prose about the Shoah issued in Poland after 1945. The reviewer shows how Buryła in his meticulous descriptions rediscovers the literature of the 1950s and of the subsequent years, restoring this part of literature to the research in the Shoah discourse. The review includes discussions on the issues that Buryła points out in his book (e.g. research in the Shoah topos), remarks on its methodology, and a confrontation of the monograph with Buryła’s earlier publications. The review, apart from brief critical remarks, shows the book’s innovativeness and its suitability for the Shoah studies development. 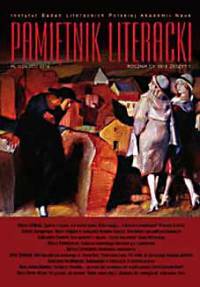 The review considers Grzegorz Niziołek’s monograph Polski teatr Zagłady (The Polish Theatre of Extermination). The pioneering study treats of the Holocaust threads in Polish post-war theatre. The author does not limit his considerations to finding the Holocaust motifs, but also shows the modes in which they were silenced and hidden.